Nicole Burke and Ryan Miller live on a farm with their 4-year-old daughter, eating a diet rich in homegrown vegetables and kombucha -- an organic tea fermented in a cocktail of yeast and bacteria. Burke and Miller, from New Haven, VT, also brew and sell their own probiotic, using raw honey from their bee colony. They believe that a healthy dose of microbes contributes to their overall health. Miller is right. Early research shows that a diverse and balanced microbiome -- the colony of microorganisms that make up the ecosystem of our body -- may be the key to good physical and mental health. Americans have caught on, too. They spend more than $38 billion a year on probiotics in food, over-the-counter supplements, and creams in the hopes that these products will improve their gut bacteria and their health. Doctors and consumers are using these lab-grown bacteria to boost their immune system, shorten a cold, and quell the symptoms of digestive disorders. Some doctors use probiotics -- available in many different strains -- to treat irritable bowel syndrome, antibiotic-induced diarrhea, and a stubborn infection that can be fatal in the elderly, C difficile. Some have even prescribed probiotics to treat obsessive-compulsive disorder. Others are drinking kombucha, as well as other popular fermented foods like yogurt, kefir, sauerkraut, soft cheeses, and pickles in hopes they can boost levels of good bacteria in their digestive tract. Can these products really improve your gut bacteria? And if they do, what does that mean for your health? 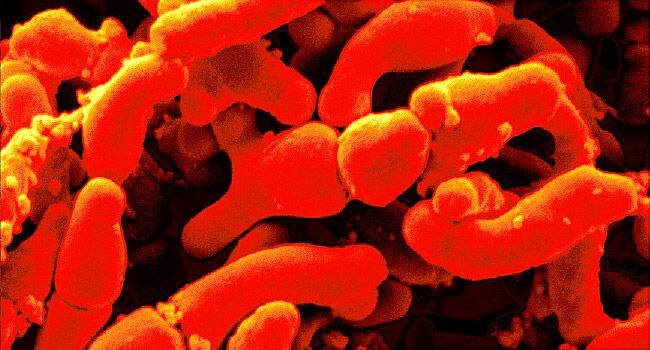 Our bodies are home to trillions of microbes -- bacteria, viruses and fungi -- that live mostly in the intestine, communicating with the immune system and the brain. But when things go awry, these germs can hurt us. Gut flora have been implicated in diabetes, asthma, rheumatoid arthritis, and even depression and autism, according to scientists who study the microbiome. Theories even suggest that gut flora may play a role in obesity. Early research into probiotics, mostly in animals, shows promise in treating some diseases. One type of bacterium, E.coli Nissle 1917, can “cure” salmonella. The food-borne infection causes 19,000 hospitalizations and 380 deaths a year, according to the CDC. Studies show the same bacteria can cause remission in ulcerative colitis, leaky bowel syndrome, and Crohn’s disease. There is also evidence that probiotics can lower deaths in premature babies with necrotizing enterocolitis. The disease is the most common infection in neonatal intensive care units and has a 50% mortality rate, according to the CDC. Only a few dozen bacterial strains have been actually tested in human trials. Most of the studies on probiotics have been done on lactobacillus and bifidobacterium, which are the predominant class of bacteria in commercial products, according to the National Center for Complementary and Integrative Health. For healthy people, over-the-counter supplements may not be worth the cost, experts say. “Buying probiotic supplements is not necessary for most healthy people, and can be expensive,” says Mark Swain, MD, of the Immunology and Gastrointestinal Research Group at the University of Calgary in Canada. Experts also point out that probiotics, like other supplements, are not regulated by the FDA. Not much is known about the safety of commercial probiotics, and there have been no long-term studies. So far, they show few side effects -- usually gas. But because they contain live bacteria, they can cause dangerous infections in people with weakened immune systems, chemotherapy and organ transplant patients, as well as those who have had much of their gastrointestinal tract removed. Purna C. Kashyap, MD, a gastroenterologist and researcher at the Mayo Clinic’s Center for Individualized Medicine, says he won’t prescribe probiotic supplements to his patients with digestive complaints. Kashyap says there are plenty of good probiotic foods like yogurt, kombucha, and the pickled Korean dish kimchi that provide the same benefits. While probiotics may give the body a healthy boost as they “travel through” the digestive tract, studies haven’t proved that they can change the structure of the microbiome, says Mary Ellen Sanders, PhD, founding president of the International Scientific Association for Probiotics and Prebiotics. Jack Gilbert, MD, faculty director at the Microbiome Center at the University of Chicago, says more testing is needed. “We need a heavy dose of skepticism that only good science can provide,” he says. On the other hand, some experts say that a prebiotic diet, rich in fiber and a variety of foods like fruits and vegetables, can act like a fertilizer of good bacteria, permanently increasing the diversity to keep them in balance. Jerusalem artichokes, bananas, oatmeal, honey, maple syrup and legumes are good prebiotics, say experts. Lowering sugar, saturated fat, and alcohol is also helpful, and exercise is important: Research in Australia has shown athletes have a more diverse microbiome. “A diet high in prebiotics, including things like onions, whole wheat bran, whole wheat flour, asparagus, and leeks" helps to keep our gut bugs healthy and happy by providing food for them, says the University of Calgary’s Swain. Other environmental factors and lifestyle choices may have longer-lasting effects on the microbiome, especially in children, says Marie-Claire Arrieta, PhD, co-author of the book Let Them Eat Dirt. Arrieta, an assistant professor at the University of Calgary who studies the link between the gut and several immune diseases, says that the first 2 to 3 years seem to be the most important for developing a healthy microbiome. Having a vaginal birth rather than a C-section, breastfeeding, getting a pet, avoiding unnecessary antibiotics, and eating a high-fiber diet and prebiotic foods can go a long way to creating and maintaining a healthy one, she says. Which is why kombucha maker Ryan Miller says he feels good about raising his daughter in a natural setting, amid farm dirt, free-roaming chickens, and unprocessed food. And her great-grandmother, a Vermont farmer, lived to be 99. “There are other factors that affect your health, but the one thing you can control is your lifestyle and making sure your body gets all the nutrients it needs,” he says. Nicole Burke and Ryan Miller, owners, Golden Well Apiaries, New Haven, VT.
Mark Swain, MD, gastroenterologist, Canada’s University of Calgary, and acting director of its Immunity and Gastrointestinal Research Group. Purna C. Kashyap, MD, gastroenterologist and researcher, Mayo Clinic’s Center for Individualized Medicine. Jack Gilbert, MD, professor, Microbiome Center, University of Chicago. Mary Ellen Sanders, PhD, founding president, International Scientific Association for Probiotics and Prebiotics. Marie-Claire Arrieta, PhD, assistant professor, University of Calgary; co-author of the book Let Them Eat Dirt. Lyndsay Meyer, media officer, FDA. Patricia L. Hibberd, MD, PhD, chairwoman and professor, department of global health, Boston University School of Public Health. Michael J. Neuwirth, senior director of public relations, Danone and White Wave. NIH National Center for Complementary and Integrative Health: "Probiotics in Depth." Clinical Guide to Probiotic Products in the U.S., 2017 Edition. Clinical Guide to Probiotic Products in Canada, 2017 Edition. Alliance for Education of Probiotics. World Gastroenterology Organisation: "Global Guideline for Probiotics and Prebiotics."